Scientists from the Texas A&M University System reveal that disorders related to circadian clock regulation can cause development of metabolic diseases such as obesity and diabetes. To improve the health of those affected by metabolic diseases, it is not only necessary to eat healthy, but also to maintain a healthy lifestyle and avoid sleeping late and eating at night, says Dr. Chaodong Wu, associate professor in the department of nutrition and food sciences of Texas A&M’s College of Agriculture and Life Sciences, and Dr. David Earnest, professor in the department of neuroscience and experimental therapeutics, Texas A&M Health Science Center. The results of the study were published in the Journal of Biological Chemistry, according to a recent press release from the school. 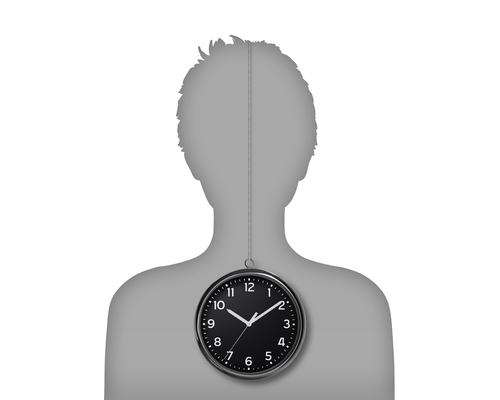 The team of researchers observed that circadian clocks in peripheral tissues and cells conduct daily rhythms and coordinate physiological processes like inflammation or metabolism. In this way, deregulation can influence obesity and diabetes. What is important to take into consideration about regulation is timing, according to the researchers. If eating unhealthy food causes health problems, it is much worse to do it at the wrong time of day. Scientists indicate that time-based treatment may present improved results for metabolic diseases. Dr. Wu and Dr. Earnest had already completed a previous study using mice with genetic mutations, indicating that specific circadian clock disorders modifies metabolism or increases obesity. However, the mechanism behind this assertion had yet to be studied in full. The components that are crucial for the onset of obesity are immune cells called macrophages that contain autonomous circadian clocks cells that trigger inflammatory reactions. Previous research monitored the circadian rhytmicity of cells on mice. The animals were examined trough a 12-hour light-dark cycles and were fed according to a high-fat diet, while the other group was fed with a low-fat diet and strictly controlled. Dr. Wu and Dr. Earnest noted the unique role of circadian clock deregulation in metabolic disorders from the study results, as the first group revealed the rhythmicity of circadian clocks in immune cells of fat tissue is dysregulated by a long phase of time. Mice who were fed on a low-fat diet showed accumulation of immune cells in fat tissue and decrease whole-body insulin sensitivity. Scientists hope this study will help develop further knowledge about human health and nutrition and expand mechanisms of prevention of obesity and diabetes.